Our hats and headpieces are available to hire from £30 – £120 depending on the piece chosen. Payment is made at the time of booking, by entering into a hire agreement you agree that you have read and accept our terms and conditions and that these apply to your hire. Hire duration is three days, (four over a weekend, Friday to Monday) unless previously extended. Please note separate terms for Royal Ascot, where hire duration is for one day from 10am – 6.30pm, unless previously arranged. Once you have selected and booked your hat we will ensure that it is boxed up ready for collection from our showroom a day or two before your event, or we will happily courier the item to you. Any postage will be added to your hire charge. We expect items to be returned the day after your event, either in person or by courier. Care must be taken to keep the hat or headpiece under an umbrella at all times should the weather be unfavourable. 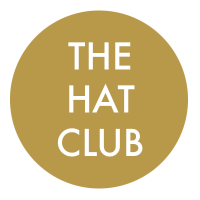 If you have any queries please do not hesitate to contact us on info@thehatclub.co.uk or 01638 721366 where we will do our best to accommodate your requirements.